Hurry! Hurry! Are you ready for a 4-day sleep course with the American Academy of Craniofacial Pain (AACP) in San Diego? I know I am! What better way to learn about dental sleep medicine than on a trip to sunny California! While it won’t be all fun in the sun (we need to learn a lot in these short 4-days, too) I can ensure you that you will leave this mini-residency with more pep in your step because you will be ready to keep pushing through dental sleep medicine and the services available for your patients. Let’s take a look at what to expect in this 4-day sleep course with the AACP in San Diego September 28 – October 1, 2016. Yes, this is a 4-day weekend course in sunny San Diego! 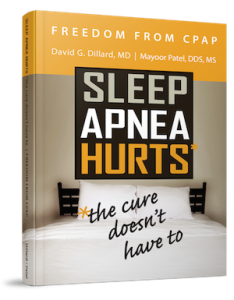 In this sleep course with the AACP there will be lectures, hands-on workshops and case studies. By completing this mini-seminar you will receive approximately 38 CE credits, but hurry because enrollment is strictly limited to only 25 students! In this mini-seminar you will pick up the knowledge and clinical skills required to assess and differentially diagnose commonly encountered temporomandibular disorders seen in a dental practice that might impact the success of treatment for a patient with a sleep breathing disorder, such as sleep apnea. You will also gain advanced medical and dental training to successfully treat patients. While learning these specific areas, you will also make progress toward fulfilling AACP fellowship and AGD Mastership requirements. Now that sounds like a win-win to me, doesn’t it?! Training is provided by both dentists and physicians to increase the scope of understanding, as well as fostering the importance of a team approach to ensure the highest level of patient care possible. Remember, space is limited to only 25 students, so sign up now before it is too late! I hope to see many of you there! If not, please visit my lectures page for more continuing education opportunities.